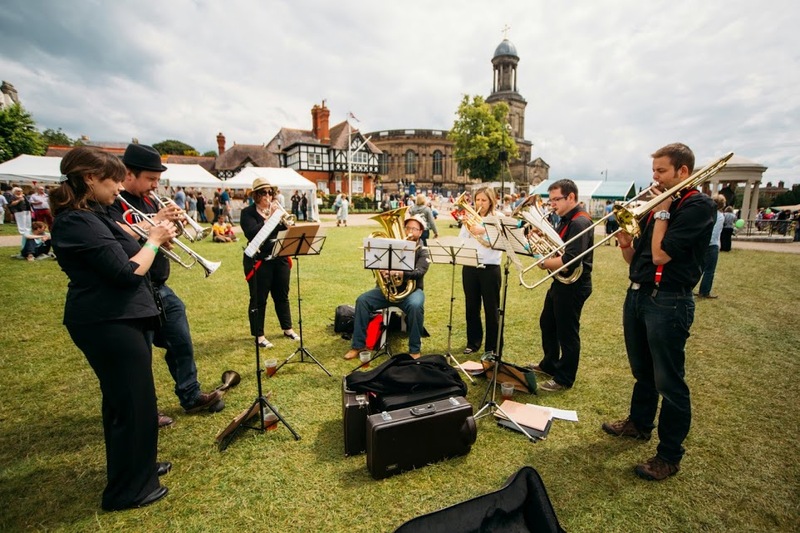 Shrewsbury Brass Band now has a little offshoot project - Brassic Oompah! Playing a variety of music, from traditional German oompah music, pop songs, traditional brass band pieces and all sorts of other stuff in between, the small ensemble of musicians are ready to go! 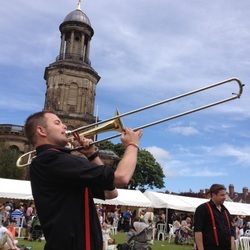 Having already performed at a wedding in 2013, they have recently made their first public appearances, at a cabaret concert in Bayston Hill and then, at the recent Shrewsbury Food Festival, playing in front of the crowd at the packed out Shrewsbury Quarry. More information will be posted here soon about the band, regarding music and availability (provided we can get them out of the pub for long enough), so please check back regularly for more information.